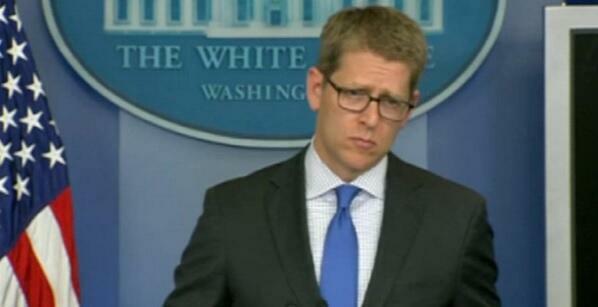 Ahhh…Jay “It Happened a Long Time Ago” Carney had a rough WH Presser! Poor Jay was actually questioned in an almost professional journalistic manner this week–as opposed to the usual sycophantic MSM Naïveté! For at least one hour the press snapped out of their stupor long enough to realize they had been unabashedly lied to for weeks and months, and even the Obama-worshipping Main Stream Media don’t like looking the total fools! This Freudian, captured still summed it up well!! 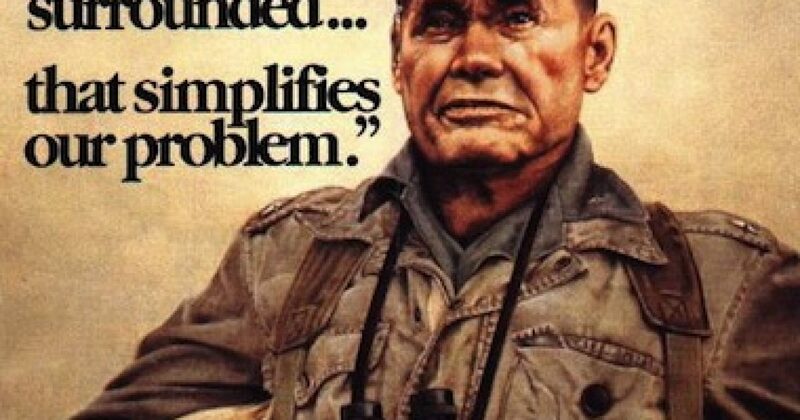 Sorry Jay…if Chesty Puller were there to he would slap, not rescue, you! 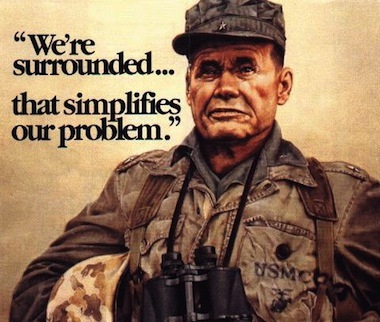 Chesty wouldn’t understand leaving one man behind, let alone 4!